In Drangleic, a land where souls are used both as currency and consumed for power, you’re told to seek misery. Misery will lead you to larger, more powerful souls. You’ve found your way here, as all cursed folk do, because these souls can cure you of your undeath and the madness of going Hollow -- or so the legends say. Dark Souls 2 is an action RPG in a place where times and spaces meld with each other. After a slew of slayings, dying will attach your souls to your bloodstain. Reach it again and touch it to regain your lost power, or they’re lost forever. In a land where resting at the game’s bonfire checkpoints also regenerates the hostile world around you, one struggles to achieve permanency. And among the sly attacks and oppressively horrific atmosphere, your one reliable tool is an evasion roll with a small window of invincibility. That window has now been shortened, because Dark Souls. Yes, it’s a hard game. But to focus on that is to overlook other, just as important elements: A perfect combat system, brilliantly understated narrative, unique Japanese horror, and innovative multiplayer. It’s a series rich with talking points never talked about, due to its difficulty -- and this is a sequel that is more accessible but, somehow, isn’t easier. As an example, multiple paths branch from the hub town of Majula, in a world layout that combines the open-world of Dark Souls with the hierarchical stages of Demon’s Souls. Going into stage one of world one, then stage two, and so on, gives one a sense of trekking deeper into these nightmarish kingdoms, layered on top of each other like an archaeologist’s fairy tale. Warping between bonfires is enabled from the start, so you’re not muscled into one path, and you’ll regularly come back to your “home” of Majula to level up. So the world is more accessible -- but not quite easy. Similarly, more weapons and playstyles are viable this time around. Whereas before, whole categories of weapons were useless, new mechanics have helped them find their place. Beating down someone’s guard with a strength weapon now triggers a vulnerable state for you to perform an execution. Ranged weapons can now be used while moving. And whereas before, the “pure” Souls experience was melee, now that all attacks use stamina (including magic), these styles have been brought in-line with the main combat system. As a true action RPG should be, progress means formulating a plan, then executing it. Theory, then practice. That fire resistant shield won’t resist fire unless you use it right. That exquisite parry dagger requires both the right stats to make it sing, and your equally exquisite timing. There’s no “super” armour, or sword. Just gear with different purposes, as much a part of your overall battle plan as how you move and strike. Durability is more of a balancing factor now amongst weapons. That katana with amazing reach, stats, and moveset might break after a few wall scrapes -- but every rest at a bonfire will repair it. Dual-wielding is now properly available, allowing you to sacrifice defence for the attacking options of two different weapons. Enemy attack patterns will leave openings only specific playstyles can take advantage of, too, but their uniform love of blatantly telegraphed three-hit combos makes them easy to predict. Whereas an ogre holding his club a subtle few inches higher could have been the difference between two different attacks before, now it’s as obvious as holding it “up” or “to the side”. To balance this out, you’ll be outnumbered more -- but there are no fights approaching the difficulty of the infamous Smough & Ornstein. There are just hints of the old tricky tells: One of the tougher bosses always lunges at you halfway through his demonic roar -- but for his overhead attack, he’ll wait until the end to strike, fooling you into rolling too early. It is these most miserable souls that Dark Souls 2 will be chiefly remembered for. Just as players walked away from Sif or Artorias with the feeling of having had a good, solid fight, such is the case with the majority of bosses in this sequel. While the difficulty hasn’t risen the intensity has, and each fight has something special about it. From the giant who rips his own arm off for extra reach to the battle in a boat, with water slowly rising to waist level if you take too long, they’re quite memorable and fun -- both in terms of design, and sheer filth. From Software has outdone itself on the art side, with more than a few bosses inspiring the same reaction the Gaping Dragon did -- my face a combination of “That’s disgusting” and “That’s awesome”. There might be less wild experimentation than in previous games -- the likes of which produced the series’ iconic features, yet also ideas best forgotten like broken covenants, gimmicky bosses, and eccentric features like Demon’s Souls’ World Tendency. Dark Souls 2 takes less chances, and thus shows no broken design. A true sequel, in that regard. As for whether it’s a sequel in terms of story, well… yes. But one shouldn’t let the “official” story get in the way of one’s own interpretation. Dark Souls 2’s story is as if a detailed book had four pages ripped out for each one left undisturbed. The lore is there, for those who seek it. Sparse dialogue, sparser cutscenes, item descriptions, and level design all convey the history of Drangleic. What’s that cleric’s real motivation? Why are those statues in chains? What’s behind this recurring symbology of holes in peoples’ chests? Clues guide you, but your internal script trumps all -- like a book more about what the author left unsaid. Drangleic’s NPCs are along for the ride just as much as you, trying to figure out the mysteries of this land, why they’re there, and how to survive. Like a friend in real-life playing simultaneously, they can only tell you what they know. They’ll have their own theories, as well as intrigues and betrayals amongst themselves, with real consequences. There’s no good or evil in the part you play -- just shades of unfathomable Dark. Misery loves company, and your world will blend with that of other real players as well, who might intend to help or hinder you. The multiplayer covenants of Dark Souls 2 are again pitted against each other, though covenant lore is more peripheral this time, instead of story-essential bosses also serving as covenant leaders. The Brotherhood of Blood seeks PvP, invading the worlds of other players for spells and gear, while their victims are protected by the Blue Sentinels, who come to the aid of the invaded for the same motives. Some zones are even set up with traps to make combat more interesting, and one item can make enemies turn on invaders. These encounters have abandoned the level range they previously adhered to, and will now operate according to time spent playing, to prevent twinks hammering level 1 players. All of these have their own rewards for success, though some are harder to join than others. There’s a dueling covenant, a solo covenant with additional PvE challenges, a co-op covenant (the Sunbros are back), and even a covenant just for making everything harder. Because Dark Souls. Covenants, rings, items to sprinkle in the fire, and NG+ are all ways to increase difficulty, which changes not only health bars and damage, but enemy behaviours and combinations. It balances out the one thing I’m not sure I agree with in Dark Souls 2: After several deaths, one by one, enemies stop respawning around that particular bonfire -- which seems to conflict with the “earn every inch” philosophy of the series, but also stymies those who would grind out levels under the misconception their Final Fantasy training will help them here. Some of the pressure has also been taken off the crafting experience, with only one discoverable ember required to infuse your gear with special properties. This process has been streamlined, too. One Bleed Stone will convert a weapon to one that causes Bleed damage, and the same goes for Poison, Lightning, etc, without requiring several stones for the same weapon. Weapons imbued with boss souls no longer require ascending a weapon to +10 status first -- simply trade the right NPC the right soul for the weapon. Special mention goes to the cloth physics -- any robe, or cape, looks fantastic as you’re rolling or sprinting. And I wouldn’t be surprised if the new ability to carry a torch (sacrificing shield defence) was directly inspired by the new lighting system, which does wonders for the explorational side of the game as you illuminate the secrets of long-forgotten crypts. Dark Souls 2 isn’t for everyone, or even every moment. It’s a “sit forward” game that demands you be mentally present and adaptable. But for those who like to earn their victories -- really earn them -- this is a game in which winning means something more than “I went through the motions and witnessed the end”. If you do seek misery then on release, when the community is scrambling to uncover the mysteries of Drangleic lore, will be the most exciting time to play. Good luck -- and don’t you dare go Hollow. Jeremy “Junglist” Ray was born in the realm of FPS and RTS, and molded by it, while you merely adopted it. That said, he regularly eschews the CODs and Halos of the world for the more interesting game design ideas of the indie scene. Most recently he became the global #1 in Frozen Endzone, and beat Dark Souls without levelling up -- and is halfway through doing the same in Dark Souls 2. He abhors die rolls & treadmill games, and loves competition. His top 3 games are The Legend of Zelda: Ocarina of Time, Half-Life 2, and Dark Souls. so Mr Junglist if you are reading this, your opinion - is the game set before or after the events of Dark Souls ? Everything apart from what paveway quoted seems fine to me. Glad I preordered now. I was a bit wary before. Seeing Jung of all people give it a 9.6 eases my heart considerably. Why is the metacritic review under the PS3 section not the 360 section? It's definitely after. Lordran is the stuff of legend to the people of Drangleic, to the point where they can't even remember the relevant names. I think a lot of people will be obsessing over the connections to Lordran, and they are definitely there, but I actually enjoyed the new pieces of lore the best, they felt the most imaginative. Should I play and finish Dark Souls before playing this? (I got Dark Souls in a steam sale a while back). I can't even finished Dark Souls. I just hit a wall and feel like I need to grind way too much to get anywhere. I just don't get the hype about this game. I like challenging games, but it's almost ridiculous how hard it gets when you have to keep going past the same bit again and again and again because you die. ridiculous how hard it gets when you have to keep going past the same bit again and again and again because you die. This is the reason i stopped playing ds2, up until the fat c***/thin c*** fight i was going alright, but that fight was hard, there were hard c**** in the room before the fight and it was a 10 minute walk from the last bonfire, so i just cbf, all three of those things together just created annoyance, rather than the challenge of working out how to beat the bosses. To preempt paveway, it was more of a "meh quit" than a rage quit. I loved Dark Souls, and thought I would be all over Dark Souls 2, but I'm really struggling to get excited about it. Not really mad. I just don't know how to progress. I got to the jungle area past the hydra. I just hit a brick wall. I might've actually returned to the aslyum. I can't remember. Like Bah, I got to the point where it was just not enjoyable any more. Maybe I'll give it another shot. I hated that GFWL make the MP totally s***. I couldn't get the coop to work and never had anyone invade, so I missed that entire part of the game. Maybe I'll grab DS2 when it's on sale if I don't need to finish number 1.
beat the first boss, easy as, even with a defective joypad. just ordered anohter joypad, its turned up and is defective also. not sure why dark souls cant implement an auto camera?!?!?! I tried playing the PC Port of Dark Souls and the controls were terrible, I instantly regretted it. Hopefully Dark Souls 2 brings it home on PC this time. Better load up gamefaqs to find out how not to do that. 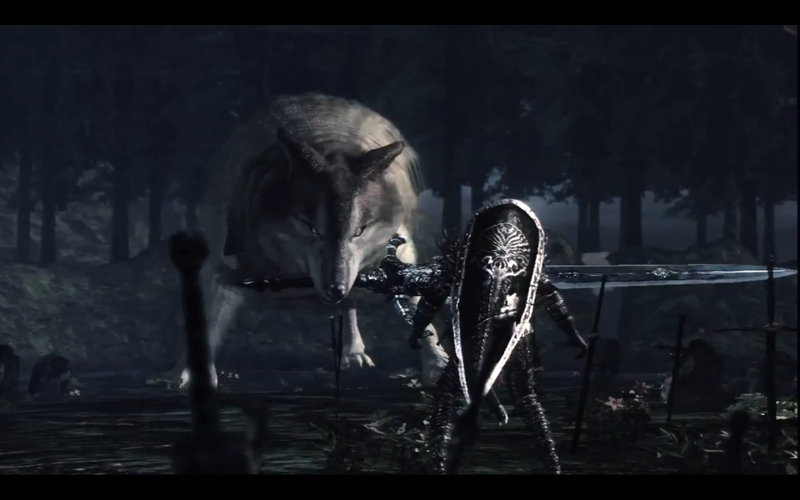 how good was it when you fight sif after doing the dlc. And there's that little bit extra in the fight cutscene. Thought it was brilliant. Completely loving Dark Souls 2. I even find the PS3 graphics very fitting, almost in a nostalgic sort of way. It's all about atmosphere and gameplay for me in this series. A very worthy addition to the Souls series imo. Not sure what it is but I am enjoying it much more than DS1, maybe because I have my head around how the series works, even though I did play Demon Souls too. I will pick it up again on PC also for another run through. Between this, ROS and Titanfall I have pretty much got my games for this year sorted. fair jump in quality between cut scene and game play. so i am enjoying going at this without a clue of where to go or what to watch out for. Enemies de spawning is a terrible change. Other than that the game is great. I just saw on twitter that Junglist has completed his Onebro run. Well done, you passed what essentially amounts to the tutorial area. Cor blimey, looks hectic! I think I'm going to wait until after my uni assignments to give this a go! That's Junglist running the first 6 bosses as a level 1 (while we record the podcast in the background). so where is everyone up to? I'm still waiting for my pre-ordered copy to arrive. lol did you pre-order in america or something? i am still waiting on my $8 usb controller to be fixed or replaced on ebay. at war with ebay vendor. old mate is about to get a bad rating all up in his grill. It's been a tough month of convincing myself not to crack and go out and buy the console version, but it's finally coming out for PC tomorrow. I think you can still get it for $40 from GMG.